The Montessori School hours are from 9:00 AM to 12:00 noon. Kindergarten hours are 9:00 AM to 2:30 PM Monday through Friday. The Montessori Full Day Program hours are from 8:00 AM to 4:00 PM Monday through Friday. 2 years 9 months to 5 years and completely toilet trained before attending school. 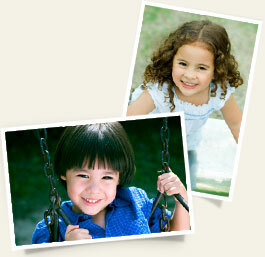 Children enrolling at age 5 must have previous Montessori experience. Application fee: A $50 non-refundable fee must accompany submission of an application. Deposit: A NON-REFUNDABLE deposit is due upon acceptance and reserves a place for your child in the classroom. This deposit may be deducted from the annual or the second semester tuition payment; or if the tuition is paid by the 10 month installment plan, the deposit can by deducted from the May 1 tuition payment only. For returning students, the deposit will be rolled over to the following school year. Payments are based on a ten-month school year from September – June and can be made in Annual (1 payment – includes a 4% discount), Semester (2 payments – includes a 2% discount), or Installment Plan (10 equal installments due the first of each month beginning August 1 through May 1. Note:The Full Day includes the Montessori School from 9:00-12:00. For children enrolled in the Half Day Kindergarten program (9:00-2:30) there is an additional fee. A sibling discount of 10% will apply to the second child when children are enrolled within the same year. A child may be dismissed at the school’s discretion upon a written notice to the parent for consistent aggressive or disruptive behavior, either physical or verbal by the parent or child. A child may also be asked to leave if the staff believes the child is not benefiting from our Montessori program. In this instance the deposit will be refunded and the tuition prorated according to the time a child was actually enrolled. Several programs are scheduled for parents throughout the year. Parent Education Day features a discussion of Montessori theory and the opportunity to ask questions and meet other parents. A special Father’s Day and Mother’s Day are scheduled later in the year. All parents are encouraged to contact the school regarding any particular interest or hobby they have which can be shared with the children during class time. Health regulations require that each child must have a physician’s certificate of physical examination before they can be admitted to any school. The certificate should be submitted to the Hunter Mill Montessori School by August 1. All children are served a nutritious mid-morning and afternoon snack. Parents may provide refreshments on their child’s birthday if they wish to do so. Our program consists of both before and after school programs that are designed to provide quality care, a pleasant atmosphere and stimulating activities for the children. Cots and sheets are provided for naps. Medicine may be dispensed according to written orders from the child’s doctor. Children enjoy the great outdoors every day, weather permitting. Since only rain, extreme cold, or wind interfere with this time, it is important to dress your child accordingly. Story time, circle games, exercise, dramatic play, music, arts and crafts, and creative free play are all a part of a busy happy day at our school. Each child brings a boxed lunch. Emphasis is placed on healthy eating habits and proper table manners.